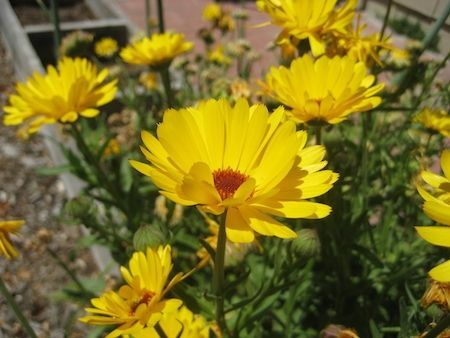 The Calendula plant is in the daisy family, and it typically blooms in yellow, orange, or gold color. Medicinally, the Calendula is known for its anti-inflammatory properties and can be found in natural products that treat acne and sooth the skin. Native to Asia, Europe, the Mediterranean, and Macaronesia, Calendulas are of both the annual and perennial variety.